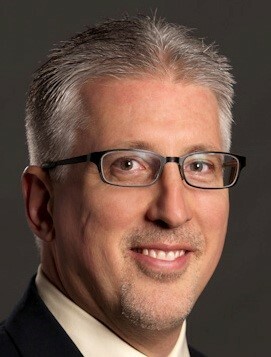 Larry is the President of Paris-Kirwan Associates and has been with the company since April of 1991. Unlike many of his colleagues in similar positions, Larry's background is in finance and business. He was a CPA for Arthur Andersen before joining the company and received his MBA from the State University of New York at Buffalo. Peter Paris, founder of Paris-Kirwan was and is still Larry's mentor today "I believe that learning from Pete Paris and my past experience and training has served me well in the insurance industry. My business focus has allowed the other principals and producers to retain and grow their client base. I am proud to be part of a company that has served multiple generations of many families. Larry currently resides in Canandaigua with his wife Karina and their son Jack. In his spare time, Larry enjoys coaching his son's lacrosse team and boating on Canandaigua Lake. Currently he is serving as treasurer on the Board of Compeer. 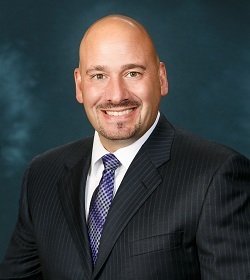 Steve Smagala is a Vice President / Partner for Paris-Kirwan Associates, Inc. He has worked in the Property / Casualty insurance industry since 1987. 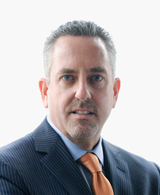 Steve joined Paris-Kirwan Associates in 1990, as a commercial insurance marketing specialist. Today he is responsible for client risk management solutions, management of the commercial insurance marketing department and insurance company relations. Steve works closely with each client to understand their business and provide a custom risk management solution. Steve graduated from St. Bonaventure University in 1987 with a BBA in Marketing. He is active in youth sports by coaching soccer and supporting various sports organizations in the Webster / Penfield area. Steve enjoys playing golf and other outdoor sports. Steve and his wife Tina live in Webster with their 2 daughters. Rich has over 18 years of insurance experience. 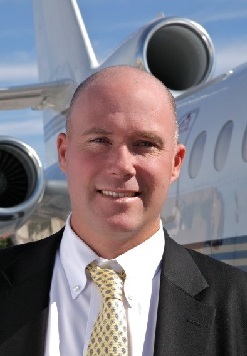 Prior to joining Paris Kirwan Associates, he developed a highly successful aviation insurance division for a larger national insurance broker. He got his start working for a small insurance agency in Pittsford, NY and worked on both personal and commercial insurance. He soon found his niche in the world of aviation. His first piece of aviation business was insuring a Lear 31A. 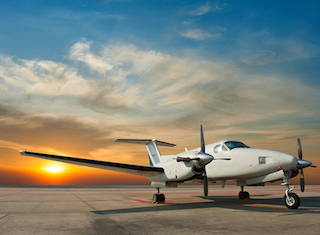 From there he has worked closely with Aviation underwriters to successfully place risk alternative packages for major FBO’s, Charter Companies, Management Companies, Corporate Fleets and Aircraft Parts Manufactures. After joining Paris Kirwan Associates, Rich turned his focus back to local business owners to help navigate their risk management needs. Medical Malpractice, Technology, Real Estate Developers, Manufacturers and Liquor Stores are areas of focus these days. Jennifer has been with Paris Kirwan for 16 years, she specializes in assisting SIANY Agennts place insurance with our in-house-carriers. Her natural knack E&O practices, and love of the underwriting aspect of insurance have made the insurance industry the perfect career choice! When not helping clients, this die hard Yankees fan can be found spending time with her friends and family at a Red Wings game, cruising or reading! Kiley is an 8 year veteran of the Insurance Industry. She specializes in Medical Professional Liability for Physicians and Surgeons. Away from the office, Kiley loves to spend time with her husband, 2 year old son Nicholas, and two dogs. With over 30 years of Insurance experience, Andrea enjoys assisting her commercial lines small accounts clients with their insurance needs. Away from the office, Andrea can be seen hiking, camping, and hanging out with her friends and family. With over 4 years of Experience in the Insurance Industry, I enjoy assisting Small Accounts clients with Insurance needs and getting to know my clients. Outside of the office I enjoy hunting, fishing, camping and basketball as well as spending time with family and friends. Kelly has been in the industry for 16 years and is committed to helping you with all of your Commercial issues. When not in the office, Kelly can be found watching her 2 kids play sports or reading. Janice has been with Paris Kirwan for the last 12 years, and is a 29 year old Industry veteran. Janice takes pride in helping her clients understand how their personal insurance works for them. She takes great satisfaction in helping her clients through their issues. Happily married for 25 years, Janice is the mother of two, with one grandson and another on the way! When not helping clients, she enjoys spending time with her dogs, gardening, and riding bikes with her husband. Cheryl has been in the insurance industry for over 37 years, specializing in large commercial accounts. Cheryl loves taking on the unique challenges that each client presents to find solutions that best fit each individual customer’s needs. When out of the office, this grandmother of 2 enjoys relaxing with a good book or her favorite TV show, or tackling home renovations projects with her husband of 34 years Tom. Rob joined Paris Kirwan in February of 2016. He is responsible for commercial lines accounts. His focus is on breweries, technology companies, bars/restaurants, fitness centers, and daycares. 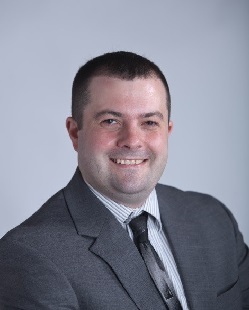 Rob started his career at Paychex Insurance Agency shortly after graduating from The University of Buffalo in 2006. His time there has given him a lot of experience and expertise in payroll and workers compensation coverage. Rob left Paychex in 2012 and joined JD Chapman Agency as a producer. After three years with that agency, Rob left to pursue a career in financial services. It wasn’t long before he figured out his 9 years of experience in the P&C industry was something that he didn’t want to leave behind, so he joined Paris Kirwan to take advantage of the knowledge and skills he had developed over his career. Rob holds a property & casualty license, as well as a life, accident, and health license. He lives in the Park Avenue area and his hobbies include martial arts, craft beers, and trying new restaurants. Mark owns and operates Pastorelle Insurance Agency a Rochester firm since 1939, in 2005 merged with Paris Kirwan Associates to provide his clients additional products and services. Mark is a licensed independent insurance broker, with over 32 years of professional experience assisting both commercial and personal clients protect their businesses, homes, autos, lives, and employees by developing innovative and cost effective insurance solutions. Mark utilizes a hands on personal approach to coordinates his Paris Kirwan team of 60 insurance specialists, more than 20 insurance carriers; various risk management techniques, and a wide variety of insurance products to establish, services and maintains Insurance programs for large to small business clients as well as his personal lines clients. Cathy has a log of taking care of her clients, and treasures the long relationships she’s been able to develop over her 29 years in the industry. A loving mother of 2 and a grandmother 1, Cathy is an avid farmer, reader, and loves spending time with her family. Karena has been with Paris Kirwan Associates since June of 2017 when Marshall & Sterling of Rochester merged with Paris Kirwan Associates. She started with Marshall & Sterling in January, 2013. With her almost 18 years’ experience in the insurance industry, Karena specializes in Personal Lines and excels in providing superior customer service. With her kind, honest and outgoing spirit, she has become an asset to Paris Kirwan since starting. She prides herself in the extra care she provides to her clients to maintain ongoing relationships. Karena currently holds her New York State Property and Casualty license, as well as her New York State Life Accident and Health license and is a licensed notary public. Outside of work, Karena enjoys camping, fishing gardening and spending time with her family, friends and her pets. Bill has been in the Insurance Industry for 27 years & with Paris-Kirwan over 18 years. His Primary focus is Personal Lines Customer Service & Sales. He holds a NY State License in Property/Casualty & in Life & Health Insurance. Bill has an ACSR Designation. His main goal is to make the person feel at ease dealing with insurance questions/claims & knowing he is there for them. Bill enjoys going on vacation with his family and coaching his kids in baseball/softball. Joanne has been in the industry for over 32 years, and is proud to say she has worked with some of her clients for over 20 years! 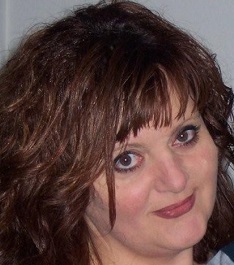 Joanne specializes in working with Contractors and Bonding. She also is a co-founder of the Pet Adoption Network in Rochester, NY, and is very active when it comes to rescuing and fostering homeless cats until they are adopted. Christine got her start in the insurance industry more than three decades ago, and has been working alongside the team at Paris-Kirwan Associates, Inc. for the last 15 years. Administering general liability coverage, commercial property insurance, and workers compensation coverage, Christine works alongside small business owners representing a variety of industries. 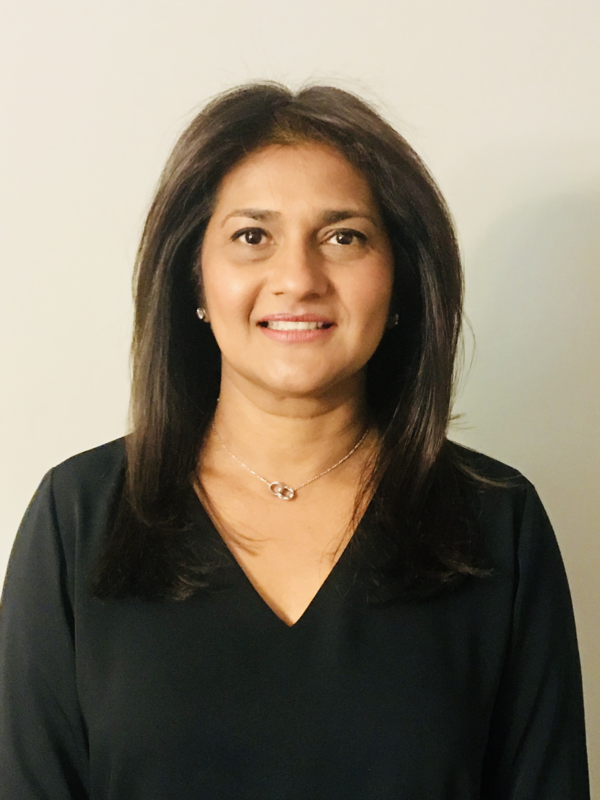 She enjoys assisting these individuals in identifying their commercial insurance needs, as well as adapting to business changes throughout the policy lifecycle. Christine is an Accredited Customer Service Representative (ACSR) and an Accredited Advisor in Insurance (AAI). Prior to joining Paris-Kirwan, Dawn starting her career in 1985 working at Travelers Insurance in the Boston Area and has since, earned her Certified Insurance Counselor (CIC), Certified Insurance Service Representative (CISR) & Accredited Adviser in Insurance (AAI) designations and holds her broker’s license in Massachusetts and New York. Dawn is responsible for developing a strong relationship with her commercial lines clients and with over 30 years of insurance experience, prides herself on exceptional service to her client’s. While working at Travelers Insurance, Dawn had the opportunity to go to Florida for 2 months to help the Hurricane Andrew victims try to rebuild and get back on their feet. She also likes to take time out to do volunteer work as often as possible as well. Dawn earned her associates degree from North Shore Community College in Danvers, Massachusetts. When not in the office, Dawn enjoys riding her motorcycle, spending time with family and friends and is a die-hard Patriots Fan. April specializes in issuing certificates of insurance, working primarily with commercial lines clients. She originally began working in the insurance industry 1990 before taking an 11-year hiatus to raise a family. For the past eight years, April has provided prompt service to the clients associated with Paris-Kirwan Associates, Inc. She owns a broker license and various insurance designations, including Accredited Customer Service Representative (ACSR) accreditation. I have 12 years experience in Insurance been licensed 5 years. I spent 7 years as commercial lines broker assistant at Henco Brokerage. After getting my license I moved into personal insurance with Freeway Ins.. I preferred Commercial lines and was accepted to work at DG&M agency as a Commercial Lines CSR and am now with Paris-Kirwan processing in the Commercial dept. I have 4 children and 2 grandchildren (ages 10 and 12) enjoy spending time and vacationing with them. Melissa started her insurance career working for nearly 6 years at a State Farm insurance agency. She holds her New York State Property and Casualty License. Melissa prides herself in getting to know each client on a personal basis to make their insurance experience a great success. Melissa has dual bachelor degrees in Communication and Criminal Justice. Melissa enjoys helping others, and when not working, is spending time with her family and pets. Kevin has been in the insurance industry since 2009. Coming from a family of Insurance agents, he has a unique insight and background to go along with his years in the industry. He specializes in helping clients understand how personal insurance works and what types of policies best fit their individual needs. Kevin currently holds his New York State Life and Accident license as well as his New York Property & Casualty license. Outside of work, Kevin enjoys golfing, fishing, and being with family and friends. Kevin specializes in all lines of commercial insurance programs for both large and small businesses. He provides a broad range of commercial liability coverages, property and casualty, director’s and officer’s liability, workers compensation, risk analysis and loss control services. He also focuses on safety policies and programs. Kevin provides exceptional insurance services and support to a diverse grouping of industries throughout western New York. A 30-year veteran of the insurance industry, Kevin works directly with business owners of all sizes and types, providing insurance and risk management solutions. He began his property and casualty career as an agency owner with Nationwide Insurance, serving both commercial and personal lines clients. Kevin is a current and past member of the Greece Rotary Club, B.O.M.A (Building Owners Management Association) and Rochester Home Builders Association. Kevin’s son, Kevin Kinnear Jr. (Personal Lines Account Executive) and his daughter Karena Harris (Personal Lines Customer Service Representative) are also a member of the Paris-Kirwan team. Charles was a part of the Marshall & Sterling team, which was acquired by Paris-Kirwan Associates in June 2017. Having been involved with athletics for his entire life as both a player and coach, Charles naturally developed a specialty in recreation insurance, primarily covering ice rinks and other sports facilities. This specialty allows Charles to combine a pair of passions – insurance and sports – as well as challenges him be remain up-to-date on industry trends and consistently expand his professional horizons. 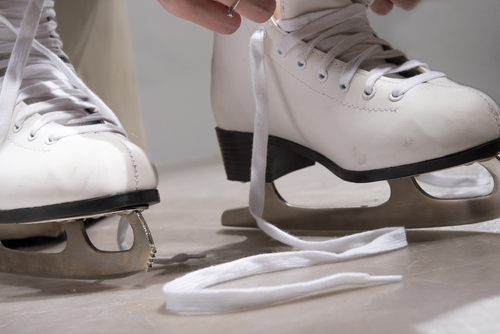 Charles is working toward becoming a Certified Rink Manager, so he can be even more in tune with what his clients are dealing with from an operational standpoint. Although Charles works with ice rinks all over the country, his recreational expertise does not end there. Alongside his team at Paris-Kirwan Associates, Charles develops comprehensive coverage for golf clubs, tennis clubs, fitness centers, trampoline parks, extreme sports, amateur and professional athletic teams, recreational leagues, indoor and outdoor sports complexes, YMCAs, and more. Charles prides himself on determining the client’s exact needs before utilizing his own industry experience to develop an encompassing loss control plan. Charles also focuses on developing coverage for commercial real estate and staffing companies. In 2016, he was designated with the Presidents Club achievement. Specializing in Workplace Safety & Regulatory Compliance for over 30 years, Larry wants to remind everyone that safety is no accident! Larry takes pride in helping employees stay safe and save money. When away from work, Larry enjoys spending time outdoors and at church with friends and family. Tammy started her career as a commercial underwriter. She was an Account Executive for over 25 years with Marshall & Sterling Insurance before joining the Paris Kirwan team. A veteran insurance professional, Tammy understands the key risks and challenges face by organizations. She guides the organization leader through the risk assessment process that results in a professional partnership and a well-organized insurance program which emphasizes value, excellent coverage and pro-active risk management. Tammy is currently working to finish her CPCU designation. Tammy is also very active in the community and sits as a board member CCFA, a member of the NAWIC (National Association for Women In Construction), The Builders Exchange, and the advisory board for H4H. Christine started her insurance career at Marshall & Sterling Insurance before joining the Paris-Kirwan team. She currently holds her New York State Property and Casualty license and has a bachelor’s degree in business administration from Oswego State University. Christine prides herself in customer service. She focuses on building positive relationships with her clients through attentiveness, tenacity, and compassion. 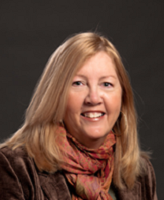 Christine sits on the board of trustees for the Scottsville Free Library and Mumford Branch. Outside of work, Christine enjoys reading and spending time outdoors with her husband and two sons. Karina Polyak started in the insurance industry in 1988 with State Farm. She has been with Paris Kirwan Insurance Associates, Inc. since 1998. Karina is a dedicated consultant agent who specializes in personal insurance with a concentration in the high net worth market. Karina lives in Canandaigua, NY with her husband Larry and their kids, Jack, Kyle and Kayla. In her spare time she is involved in the Canandaigua Youth Lacrosse program. Alison spent the first 15 years of her Insurance Career as a Claims Representative with Aetna & Travelers Insurance. She then moved to the agency side of the industry where she worked for 9 years as a Commercial Account Manager with Brown & Brown Insurance. In 2009, Alison joined Marshall and Sterling Insurance and specializes in the servicing of medium to large commercial accounts. Alison joined Paris-Kirwan through the acquisition of the Marshall & Sterling Rochester Branch in June of 2017. Alison holds a New York State Brokers License. She is married with 2 wonderful children. Steve has forged strong client relationships with large business accounts of all types. Steve as an Accredited Advisor in Insurance and Risk Management works with large companies such as Contractors, Truckers, Manufacturers, Surgery Centers, and Hi-Tech innovators to reduce their premiums and exposures through proactive risk management. 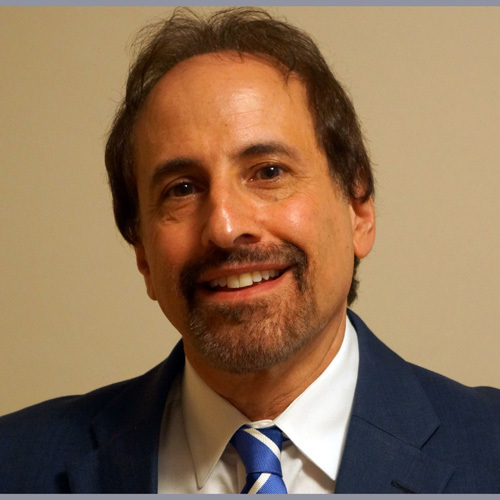 Steve has extensive experience in the industry as former President/CEO of LRMP Inc a leading local agency, VP/Branch Manager of Marshall & Sterling Inc a large corporate agency, and now VP Sales at Paris Kirwan. He began his insurance career with State Farm. He joined Paris-Kirwan in January of 2016. 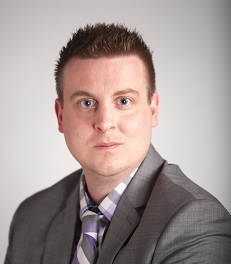 Kyle focuses his attention on Personal and Small Commercial Insurance designing personalized solutions for his clients. Kyle played college lacrosse at Mercyhurst where he was part of team that won one National Championship and played in another. Kyle currently is an assistant coach for the Canandaigua Modified team and helps out at the JV and varsity levels. Rosemary has been helping people resolve their claims for 35 years. When she’s not in the office, you can find her walking or biking around town, and watching her grand baby! 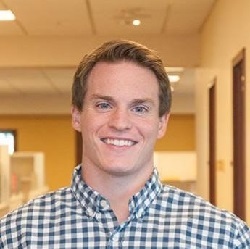 James has been in the insurance industry since 2007, beginning his career with the Paychex Agency. He spent two years with Paychex before moving on to the Farm Family Insurance Co. 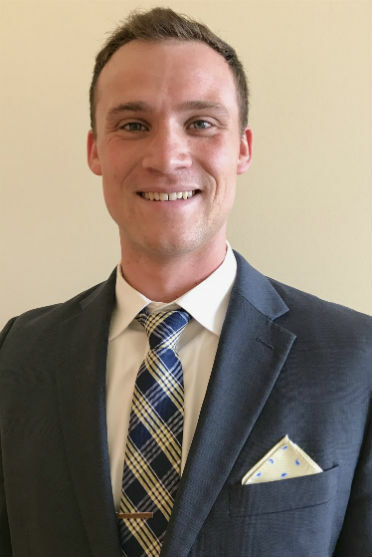 He spent three years with Farm Family before joining Paris Kirwan Associates in March of 2012. James has spent his entire insurance career in the commercial lines field, providing coverage primarily for commercial property, general liability, umbrella, business auto, and workers compensation insurance. While he has clients in a wide variety of industries, James’ primary focus lies in coverage for commercial real estate and investment property owners. In addition to his role with Paris Kirwan, James has served on the board of directors for the Independent Insurance Agents and Brokers of Monroe County since 2012.